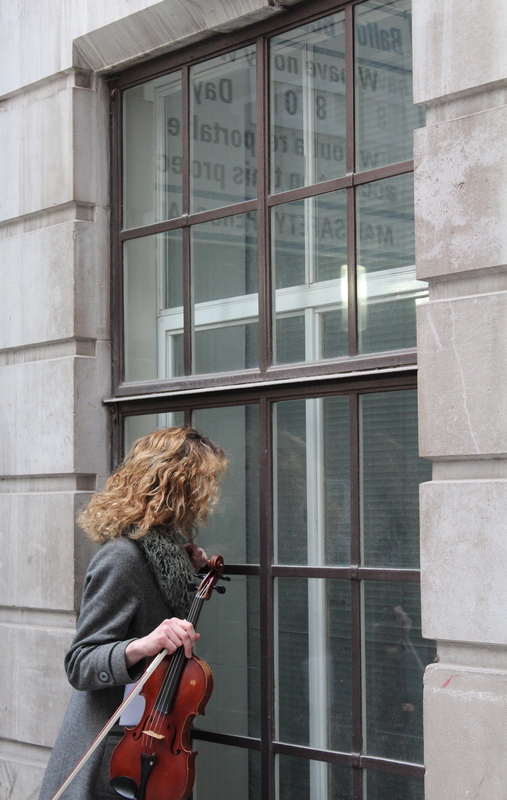 Unreal City Audio’s Coffeehouse Tour covers two of the Londonphile’s favourite things: London and coffee. Historian and tour leader Dr Matthew Green conducts these tours around the old City, explaining how a gritty and bitter Turkish drink transformed the capital. Ably assisted by a small troupe of actors and musicians, he brings the City’s old coffeehouses to life – no mean feat considering that they no longer exist. Appropriately enough the tour commences outside St Michael’s Cornhill – in 1652 Greek entrepreneur and coffee-lover Pasqua Rosee started the city’s first coffee stall here in the churchyard. People queued up all the way down St Michael’s Alley to get their caffeine fix from dishes of coffee sold from a wooden shack, while the church pews sat empty. Over 600 dishes a day were sold. One of the most fascinating – and fundamental – aspects of the original London coffeehouses was that they were not a solitary experience, as is so often the case today. Instead, they were an opportunity for people (read: men) to talk to strangers, strike deals, and generally impart news, information and mis-information. 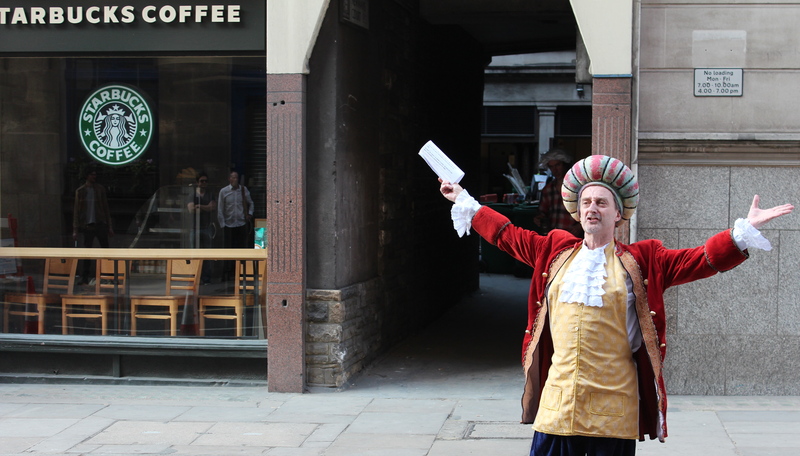 The early coffeehouses were so strong a feature of London life that they survived not only the Great Fire (which destroyed all 82 coffeehouses in the City) but the wrath of King Charles II, who attempted – and failed – to shut them down with a 1675 proclamation. 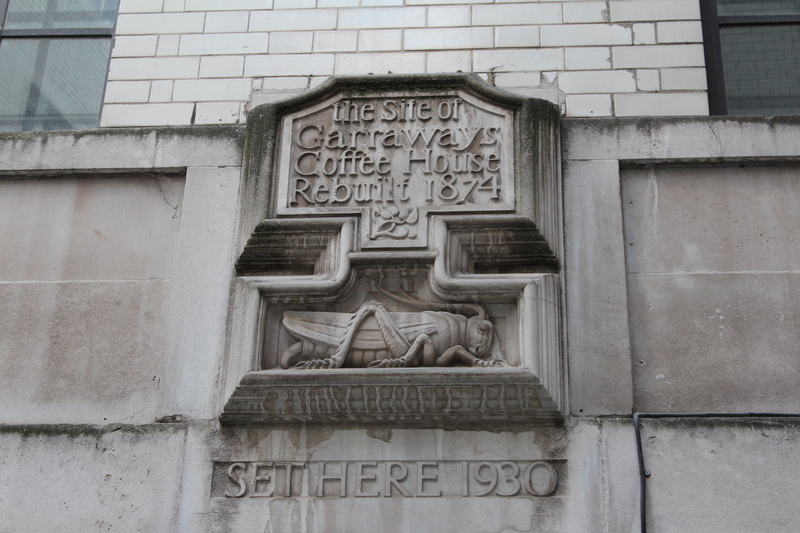 The tour takes you to the sites of some of the earliest coffeehouses – most of which came to be associated with a particular business, such as insurance, auctioneering and stockbroking and were essentially to become the birthplaces of these industries. So as Matthew points out, it’s no coincidence that this same area has since housed Lloyd’s of London, The Royal Exchange and the London Stock Exchange. Along the way you also get to explore some of the City’s quaint, hidden back streets and churchyards. And as for whether or not you will need your coffee fix before the tour: you may still want to partake beforehand as although you will get opportunities to taste it, the old style coffee is quite different and won’t be to everyone’s liking – even though it’s served in a diluted form! Check Unreal City Audio’s website for future dates – and be warned that they often sell out quickly. There is an email list you can join for advance notice of tours. They will also be running a Chocolate and Coffeehouse Tour on Saturday 7th April for Easter. This entry was posted in History/heritage, Walking tours and tagged Dr Matthew Green, London Coffeehouse Tour, London coffeehouses, London guided tours, London walking tours, Unreal City Audio by thelondonphile. Bookmark the permalink. I assume the guy in the photo is Dr Matthew Green? He certainly looks dressed for the part! Great post, thank you.